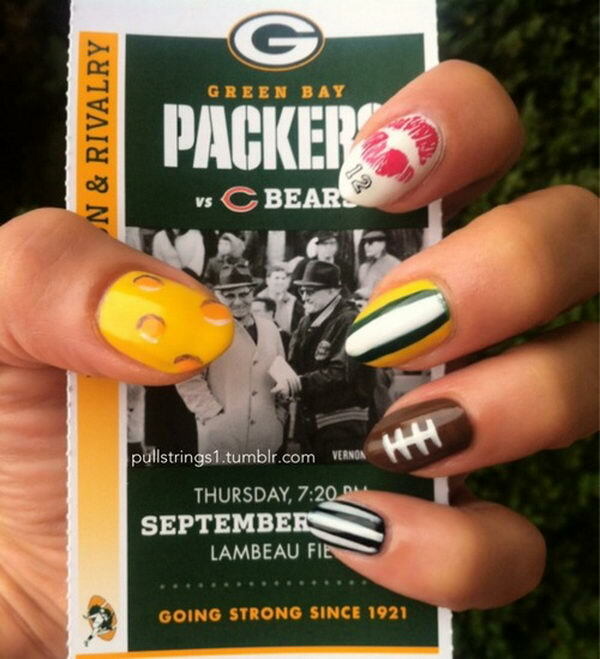 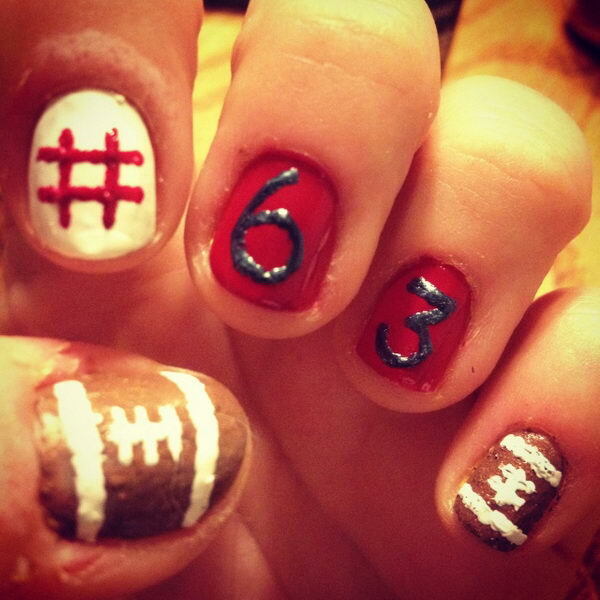 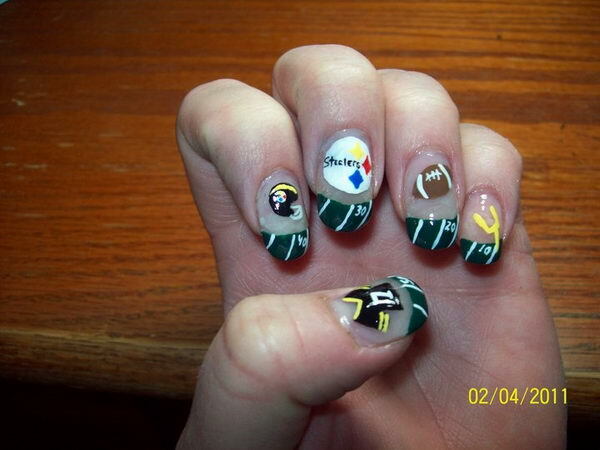 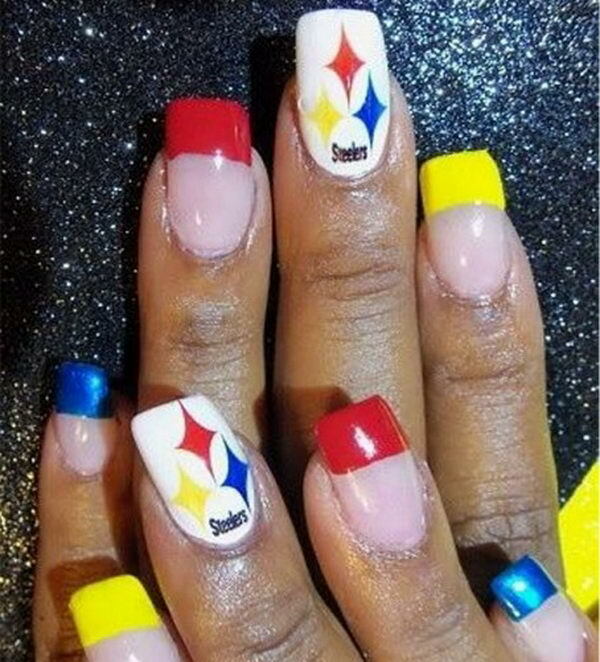 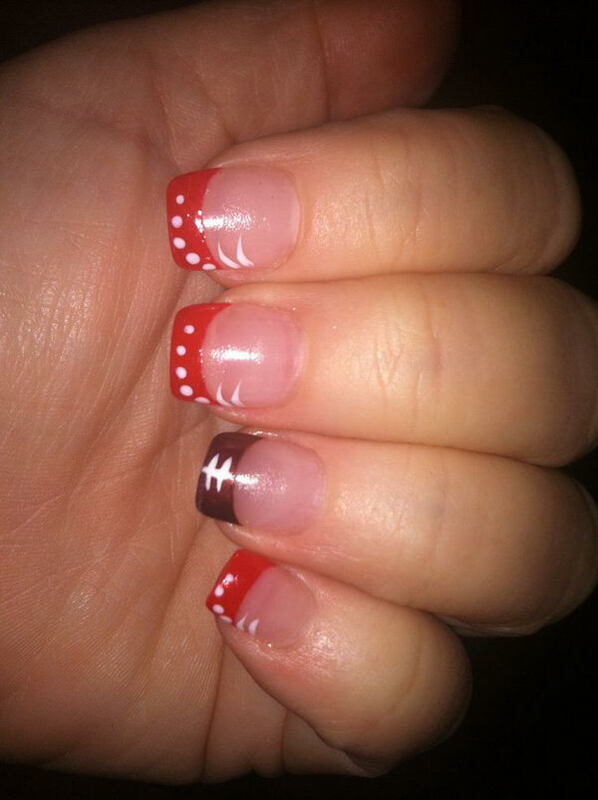 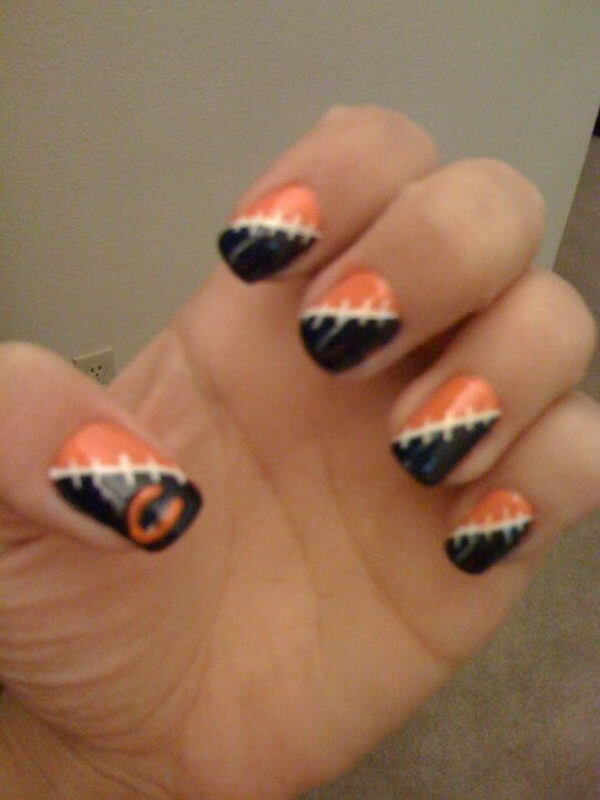 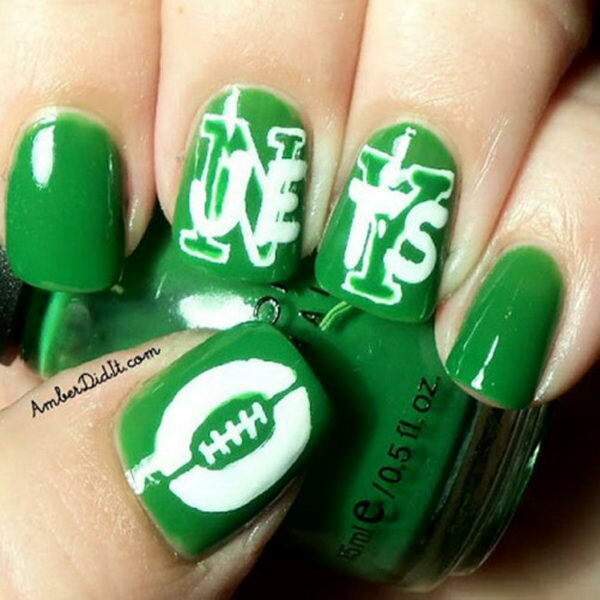 Decorating your nails throughout the football season is a fun way to support your team and show off your team spirit. 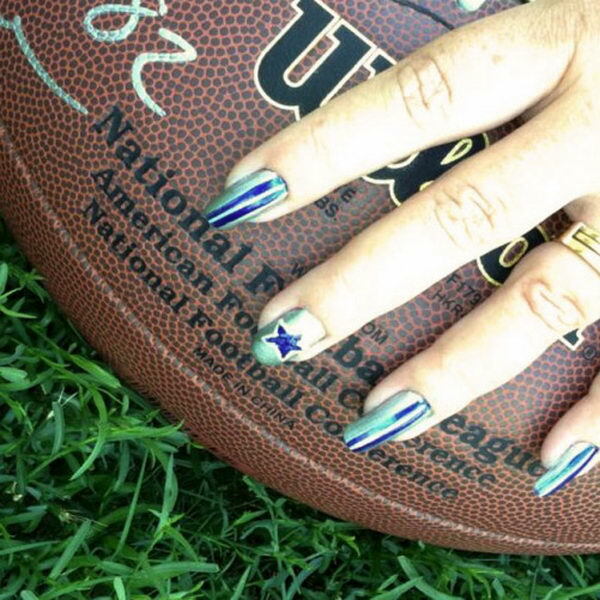 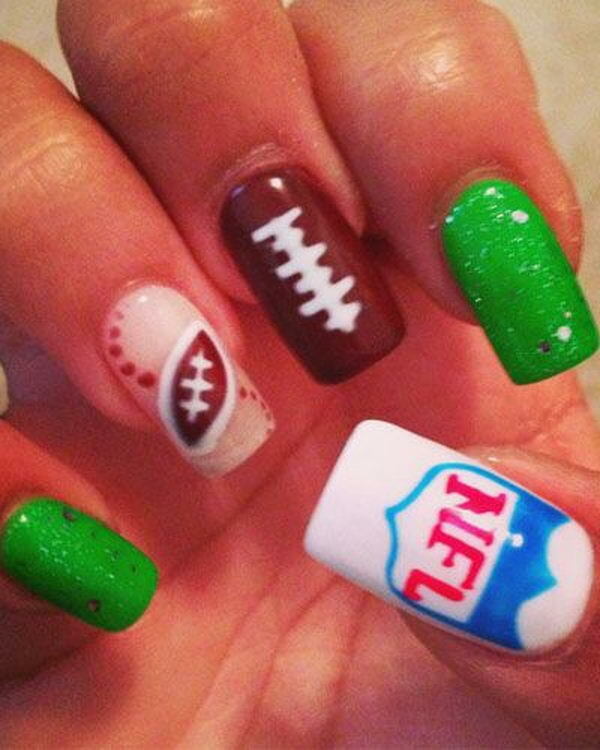 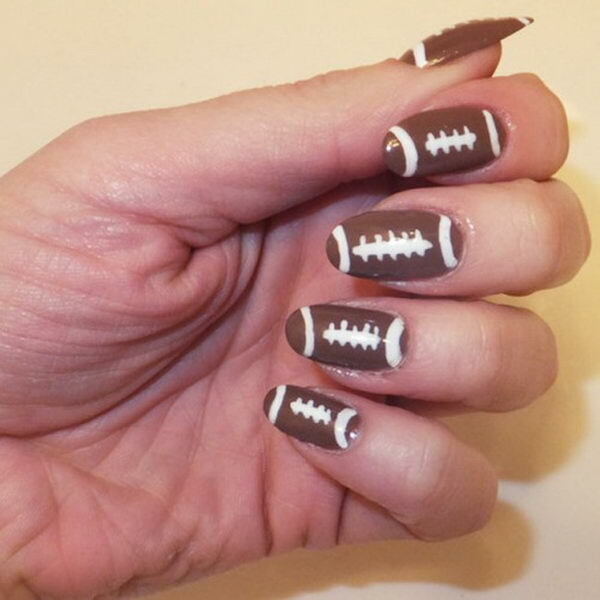 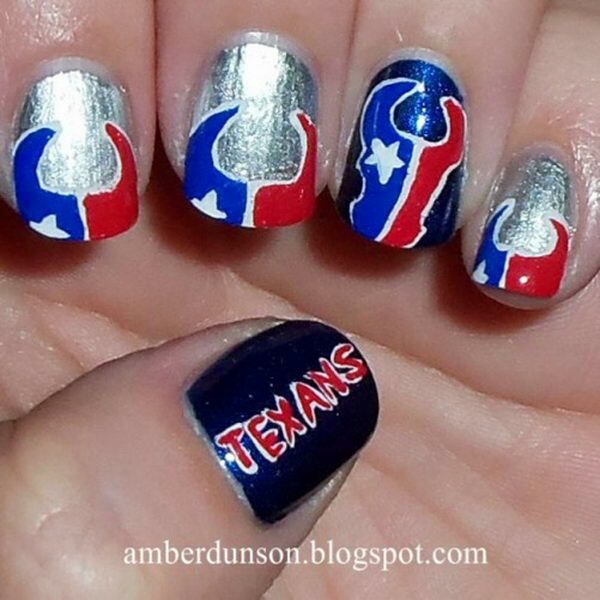 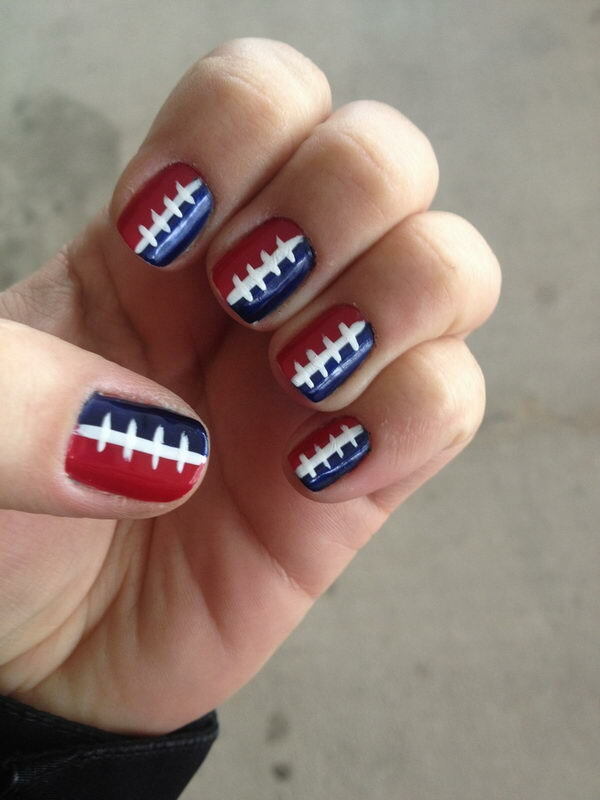 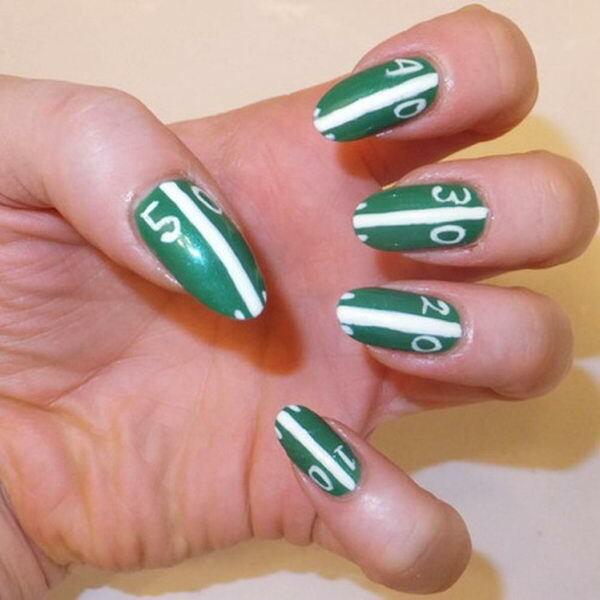 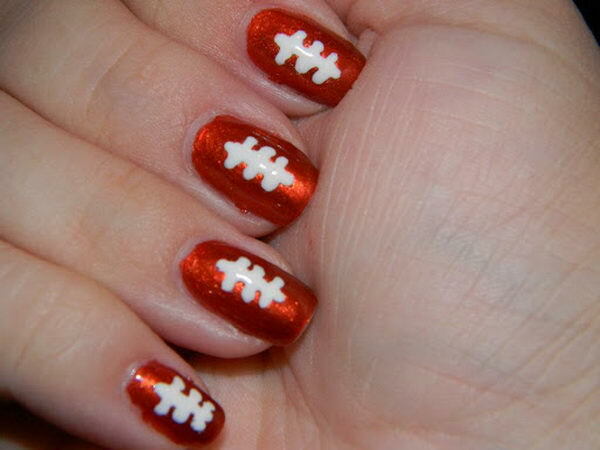 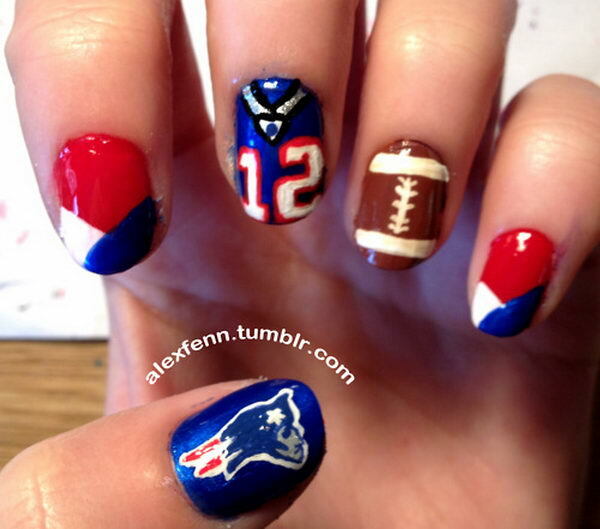 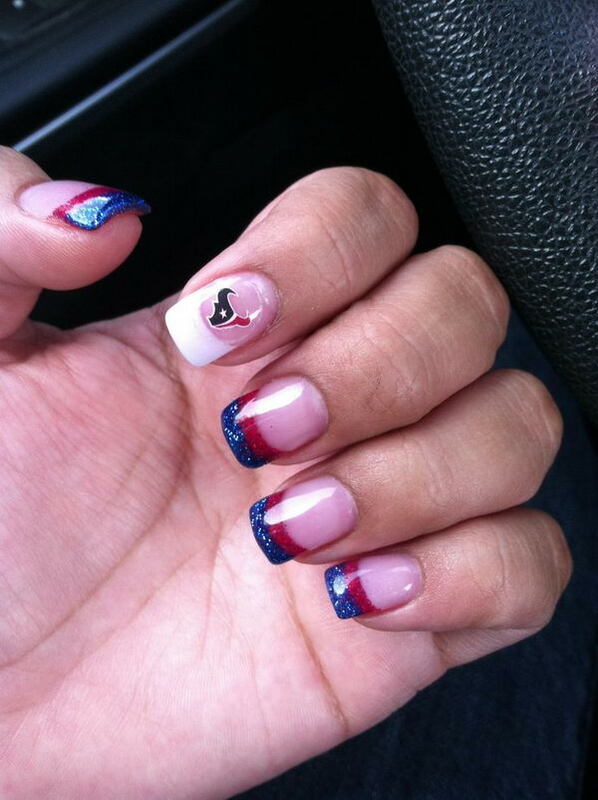 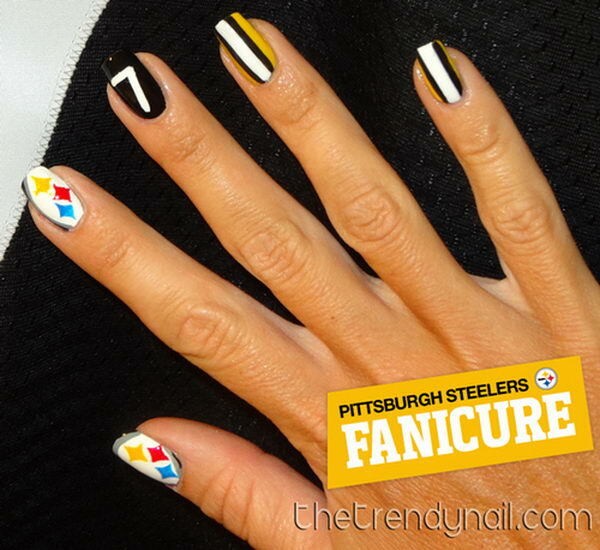 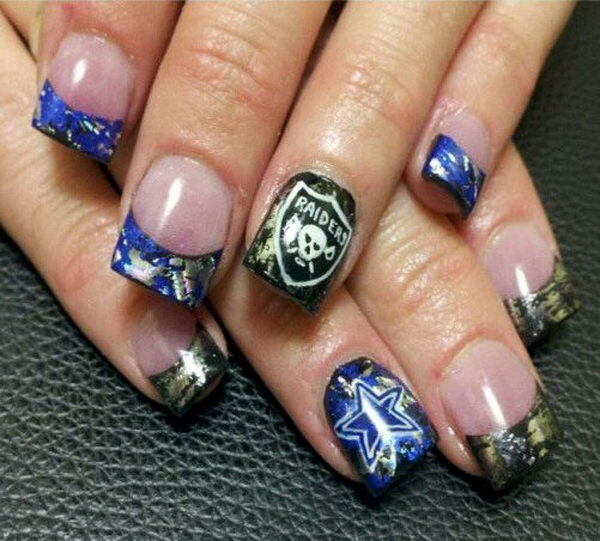 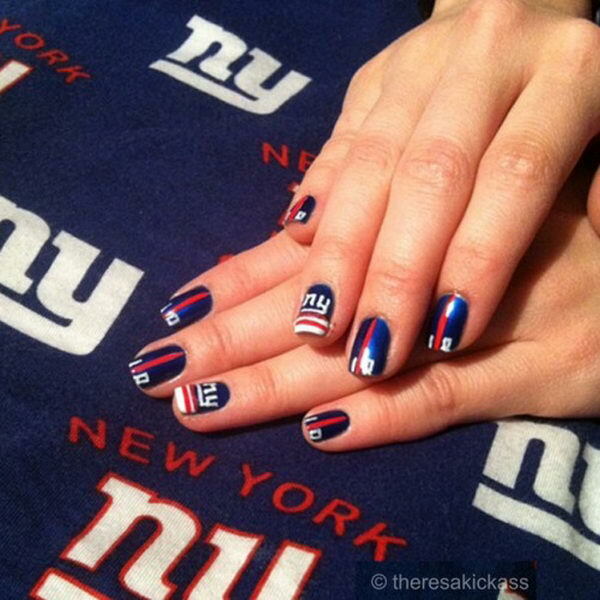 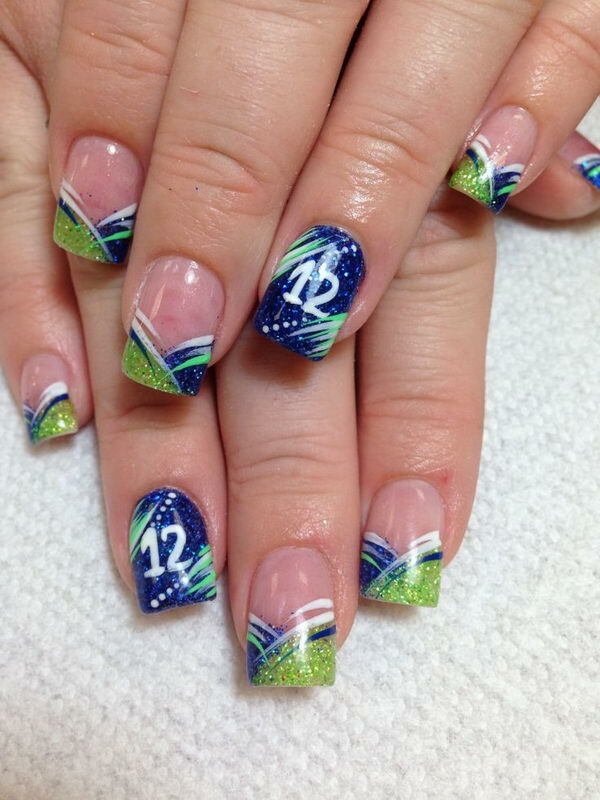 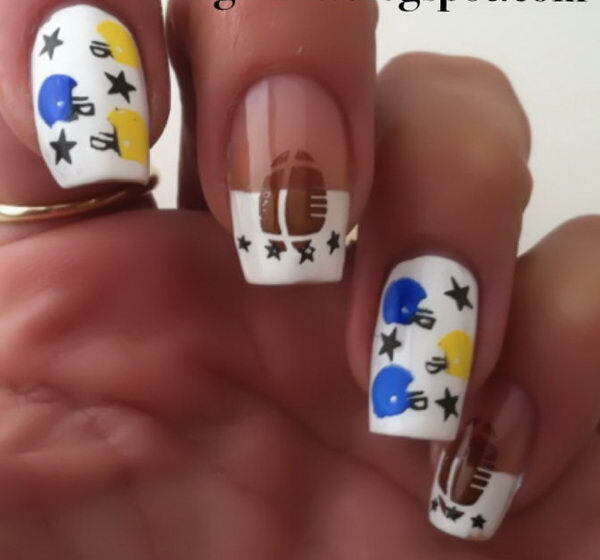 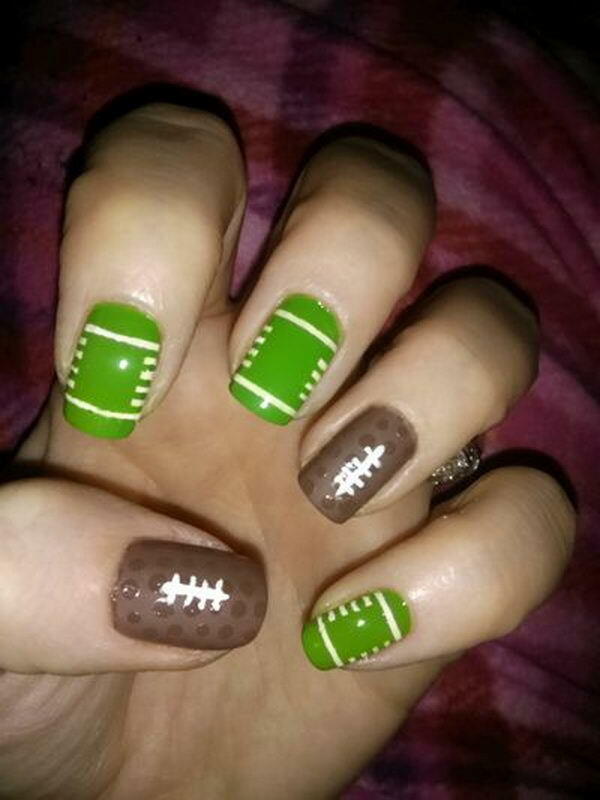 Take a look at these Cool Football Nail Art Designs for inspiration. 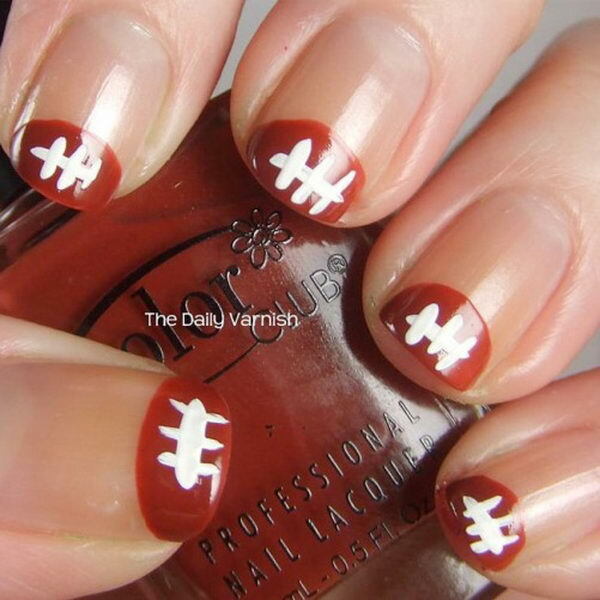 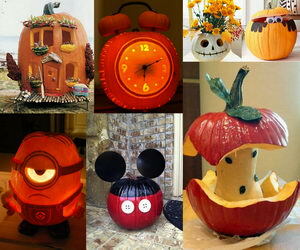 The 3rd one down is mine! 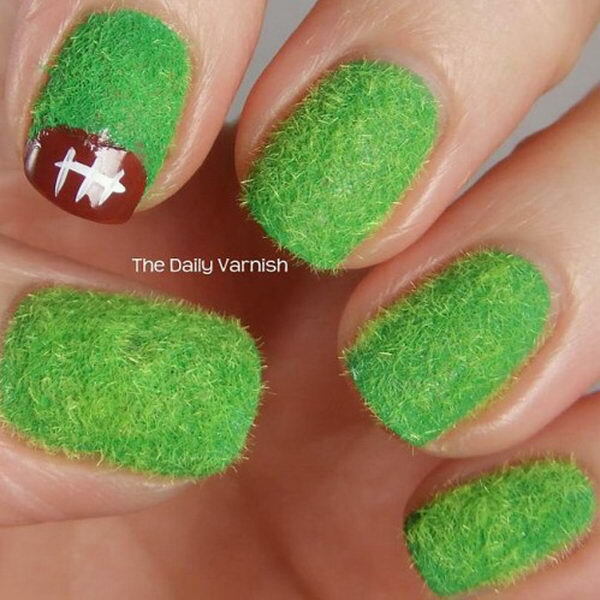 Those are my fleece pants. 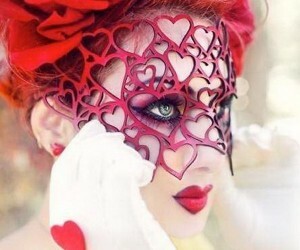 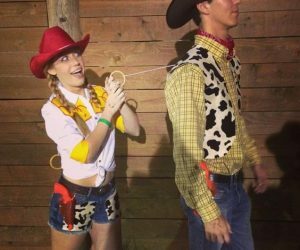 I am so excited that I made this list!